Lake Winola Fire Company No. 1 Inc.
We're Celebrating Our 20 Year Merger Anniversary! ​On January 1,2019 The Lake Winola Fire Co. celebrated the 20 yr. anniversary of the historical merger of the Lake Winola Fire Co. and the Falls Hose Co. This was the first and only merger of two emergency service providers in Wyoming County, to date. With this being the first time for this occur, there were numerous challenges encountered both with the initial merger process and other issues that arose over time once the two companies became one. The merger increased our coverage area. Because of the this, we were able to increase our member count, apparatus, and provide a higher level of training to our members thus, providing a higher level of service and experience to our residents. To date, our members operate and maintain the following: 2 working stations; Station 12 (Lake Winola) and Station 12-2 (Falls), 2 rescue/pumper trucks, 2 tankers, 2 ambulances’, 2 brush truck’s, a rescue boat along with a state of the art air boat. The members of Lake Winola Fire Co. spend countless hours with training and maintaining of the equipment. Through all of the ups and downs we are all part of the same brotherhood and share the common goal of helping our community. We welcome anyone who would like to part of this great organization! 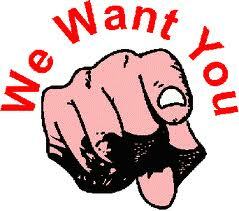 Lake Winola Fire Company is always looking for new recruits. If you are interested in Firefighting, E.M.S, driving, Administrative support, etc. we encourage you to apply! All applicants must be 14 years of age or older. The Lake Winola Fire Company does not discriminate on the basis or race, age, gender, religion, or physical capability. Applications may be downloaded by clicking button bellow, or in the FORMS area of this website. Lake Winola Fire Co. No. 1 Inc.
Providing Fire, Rescue, and Emergency Medical Services. Our Fire Co. is dispatched by The Wyoming County Communications Center. 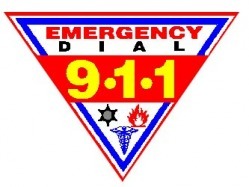 Dial 911 from any landline or cell phone in the event of an emergency. Non emergency calls, such as notice of controlled burn, basement pumping, and other public service type calls can be placed to the Communications Center on the business line 570-836-6161. Any call not requiring immediate attention may be placed to one of our Stations at 570-378-2000 (St. 12) or 570-388-6543 (St. 12-2).